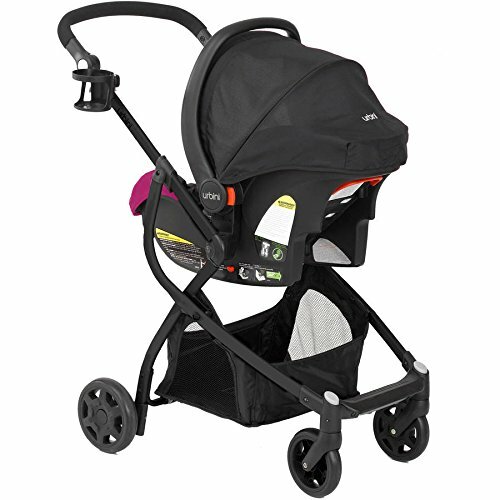 The Urbini Omni Plus is the ultimate all-in-one travel system, offering four modes of transport in one stylish package. 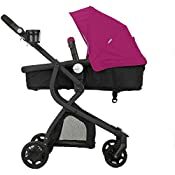 Parents will love the lightweight Urbini Sonti Infant Car Seat, which installs easily into your car and seamlessly connects to the stroller frame. For some heart-pumping exercise or a leisurely afternoon walk, stroller mode offers a multi-position reclining seat, perfect whether your baby wants a comfy and cozy nap, or would rather sit up and take in the scenery. 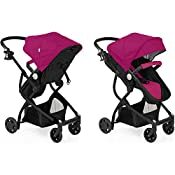 You can adjust the stroller so your baby faces you, offering your infant a reassuring connection with mom or dad; and when they're ready, the forward-facing mode allows curious toddlers to interact with the world around them. A five-point harness with comfort pads offers your child security without chafing. 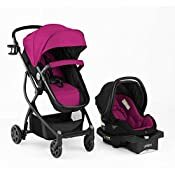 Omni Plus includes all the features you and your baby deserve: roomy storage basket, generous canopy, adjustable handle and parent cup holder for hydration on the go.